One bite of the famous #1 selling flavored Chocolate Chip Brownie Brittle and you’ll be amazed at how a mountain of chocolate goodness gets squeezed into a wafer-thin snack. If you like brownies, you’ll love this chocolate chip Brownie Brittle. 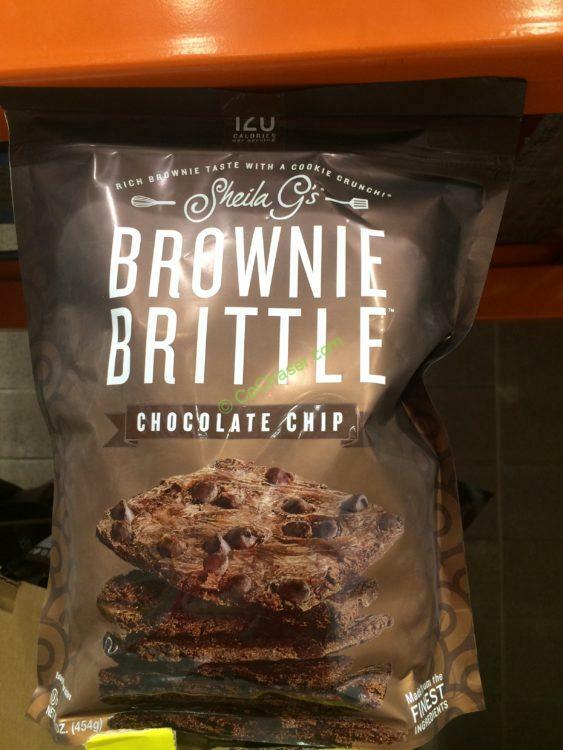 Deliciously versatile, Sheila G’s Brownie Brittle is great right out of the bag, as well as crumbled over ice cream, yogurt, cereal, and more. Per serving 1oz (28g) contains 120 calories, 35 from fat, 4g total fat, less than 1g fiber, 1g protein, 14g sugars and 75 mg sodium.